For Hillsdale Real Estate Group co-founder Ellen Grubb, helping families find a home is more than a real estate transaction. For Grubb, and her husband, Randy, home is also hope for families who may otherwise have none. The Grubbs are the vice-president and president of local non-profit Hope Homes of Davie County, a faith-based agency committed to providing housing for those who cannot otherwise provide it for themselves. Since its humble beginnings in 2006, Hope Homes has built 21 homes for people in need. In more than half a dozen cases, Hope Homes has used a parcel of land already owned by the homeowner. A number of Hope Homes are also owned by the organization. Referrals for tenants are typically made through the Davie County Department of Social Services. Most of the homes are occupied by elderly individuals surviving on small, fixed incomes, or single parents who have difficulty making ends meet. Hope Homes also actively seeks ways to partner with other community organizations. 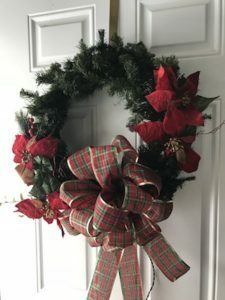 Just in time for Christmas, they are working with Family Promise of Davie County to provide a home to a displaced family. The organization hopes to continue building these partnerships in the future. 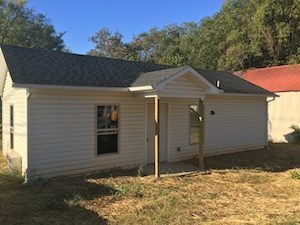 Committed to building two homes a year, Hope Homes of Davie County is funded through a number of grants and private donations, with the Davie Community Foundation helping to manage the funds. Powered entirely by volunteers—including the Grubbs—the organization is always looking for ways to partner with the community and increase its capacity to help the people of Davie County. Hope Homes is always looking for volunteers who are handy with tools or otherwise willing to learn, someone who can help coordinate details with local churches for what they call ‘blitz builds’, as well as people who are willing to provide meals and snacks, help identify contacts for new free or reduced cost appliances, furniture, and fixtures, and provide maintenance support to the homes after they are completed. To learn more about Hope Homes of Davie County, including how you can make a tax-deductible donation, visit the organization’s Facebook page.